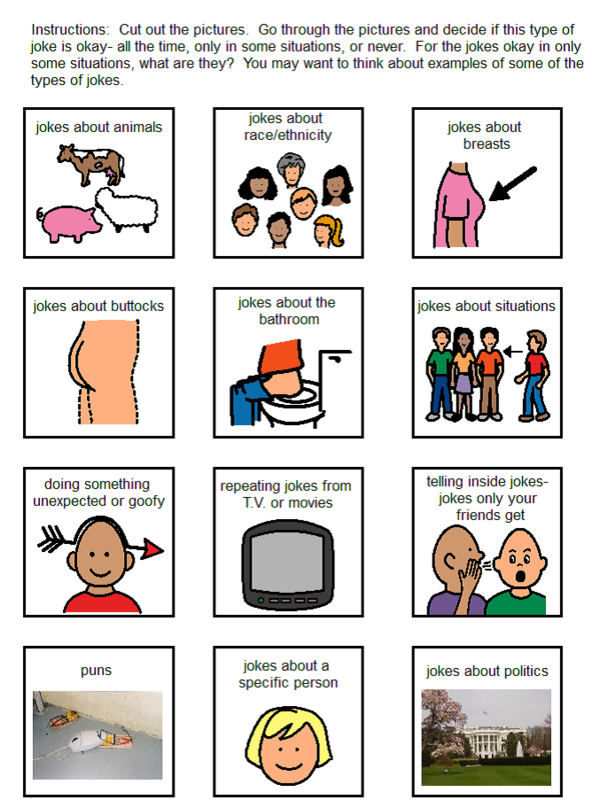 Here is an activity you may want to try out for teaching about joking in context. Joking is really difficult because it’s very nuanced. It can be a great way to connect with people but also hurtful. I also think it is difficult because of the educational context- jokes that aren’t appropriate at school, work, etc. It might be okay in some places but it feels weird saying- “yeah, it’s okay to tell fart jokes with your friends.” It really easy to cross over from actual social skills to formal social skills.